Listen, Learn, & Pass it on! 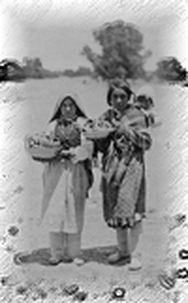 The Tiwa Language Program offers Tiwa language instruction to any interested Isleta member or descendant. Over the years, the Tiwa Language program has provided after school instruction for children and youth, adult evening and weekend courses and an annual summer program. Language classes are currently being offered to any and all Isleta People who want to learn the Isleta Tiwa Language. Classes held at the Old Elementary School. The Department of Education Language Program has began discussions with Tribal Officials and Leaders regarding the implementation of technology as a teaching and learning tool for the Tiwa Language classes. Please keep in mind, these new changes will occur slowly over time. We will keep everyone informed as this process takes shape and these new methods are implemented.